3D printed plane parts will improve the efficiency and performance of planes, including making them significantly lighter in weight, as well as lead to new design features that will be simpler and more intricate than the planes we fly in today. 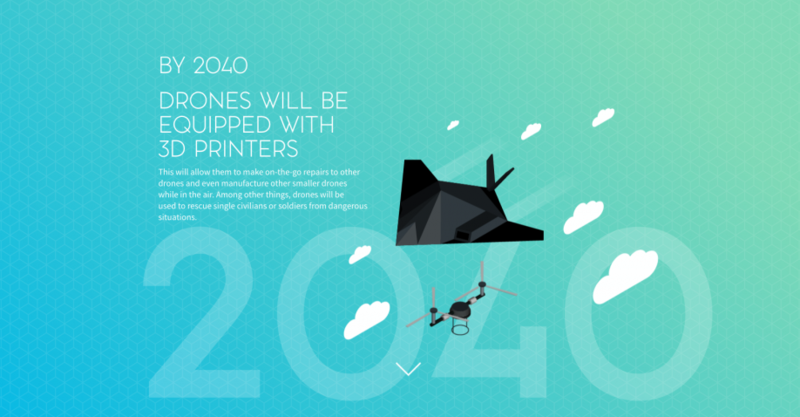 The Future of 3D Printing: How will it impact your life? 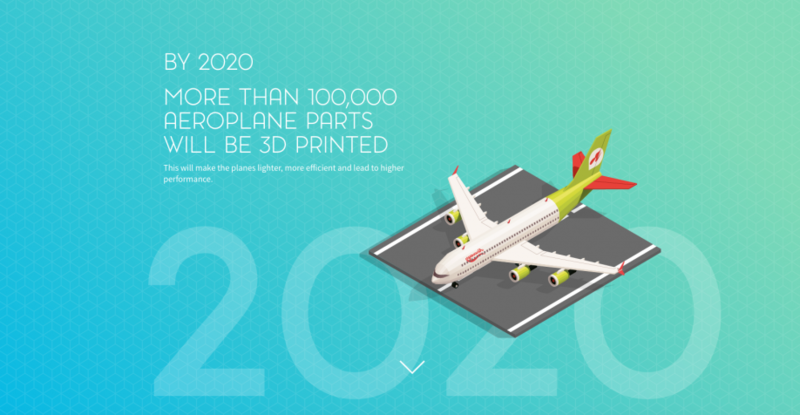 By 2020, more than 100,000 aeroplane parts will be 3D printed. Do you travel by plane regularly for work or have family commitments abroad? In as little as three years, you’re going to be travelling in aeroplanes that are built using 3D printers. 3D printed plane parts will improve the efficiency and performance of planes, including making them significantly lighter in weight, as well as lead to new design features that will be simpler and more intricate than the planes we fly in today. 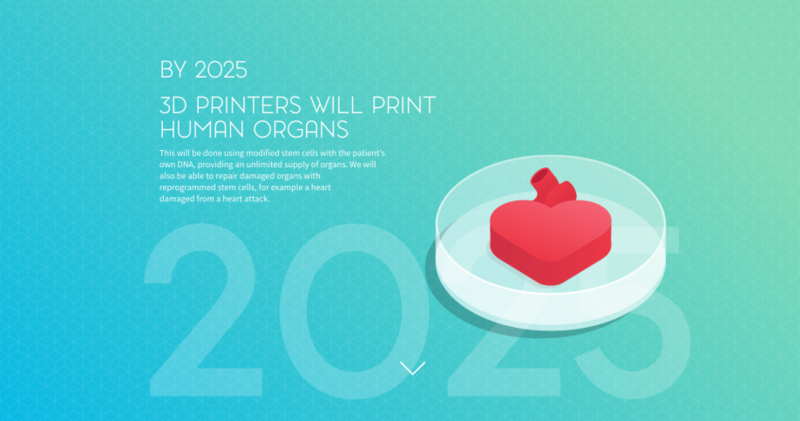 By 2025, 3D printers will print human organs. Using the patient’s own DNA, it is predicted that 3D printers will create an unlimited supply of organs. The impact this will have on our healthcare is phenomenal; by being able to print human organs by using reprogrammed stem cells, we will be able to repair organs. This means that, if you or someone close to you suffers from a heart attack, or needs a transplant, then the heart can be repaired rather than replaced. 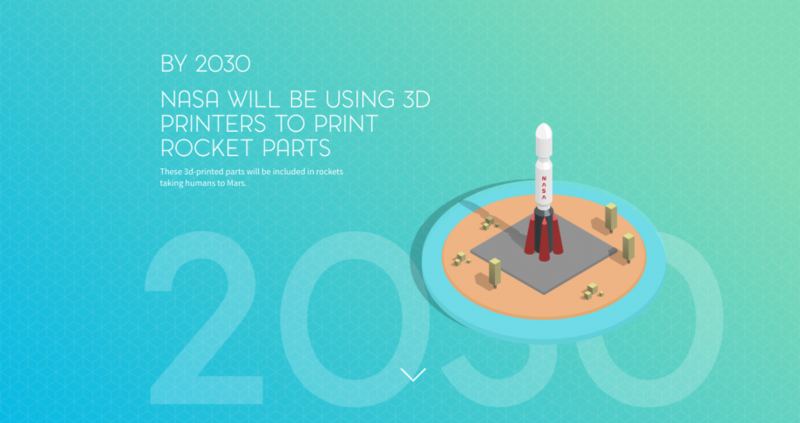 By 2030 the army, NASA and the construction industry will all use 3D printing. 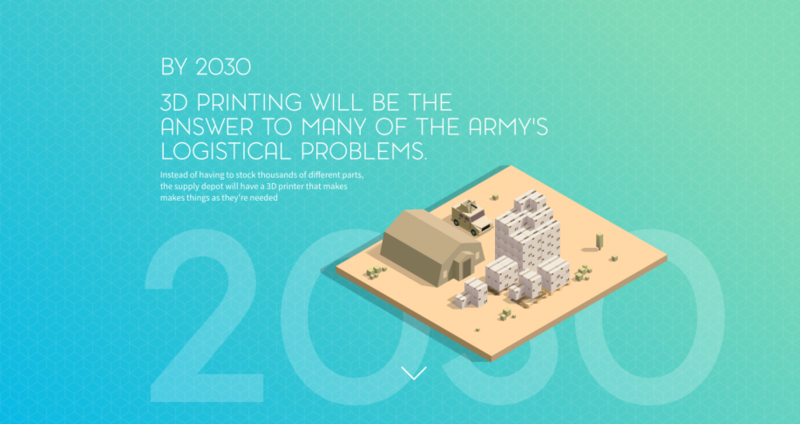 3D printing is predicted to transform military logistics. 3D printers will become part of the necessary equipment with the ability to print spare and replacement parts as soon as they are needed. The risk of an attack taking place throughout the timely delivery and shipment process will be avoided leading to the number of human casualties reduced. The discussions around space missions to Mars is a hot topic and NASA are aiming to use 3D printed rocket parts in these space expeditions. By 3D printing rocket parts, NASA can also repair and replace them swiftly; 3D printers will print whatever design it is told to, making any long-distance mission much safer. Dubai has already created the first entirely 3D printed building in the world aptly named "Office of the Future". The United Arab Emirates government are aiming to use innovative 3D printing technologies to print at least 25% of future buildings by 2030. The change from conventional manufacture and building methods to 3D printing technology will save on both construction and labor costs, as well as material waste. Dubai’s famous skyscraper-filled skyline is set to become saturated with 3D printed masterpieces. Experts predict that drones are expected to have the ability to save the lives of soldiers and civilians by rescuing them from dangerous military situations. In addition to being a life-saver, drones will be able to repair other 'mini' drones whilst on-the-go, saving human time and resources significantly. Craving pizza, but you’re too tired to take a trip to the shops? 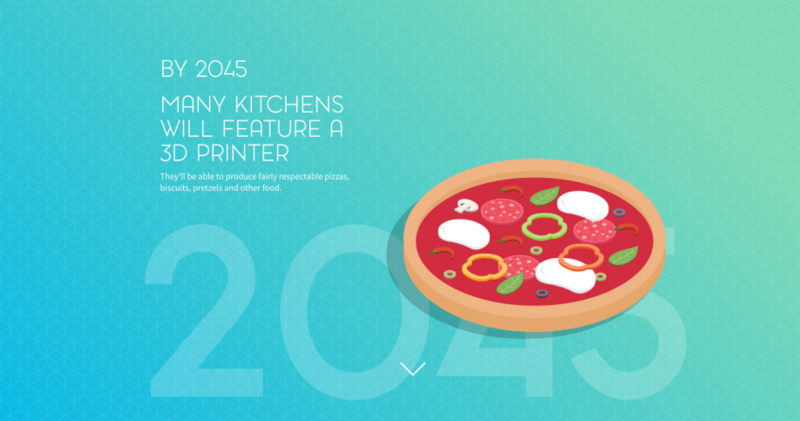 Kitchens will come fitted with a 3D printer specifically designed for food production. 3D printers can already create certain foods, and this is expected to become a common kitchen staple. From full meals to snacks such as pizza, biscuits and pretzels, you will never go hungry again. 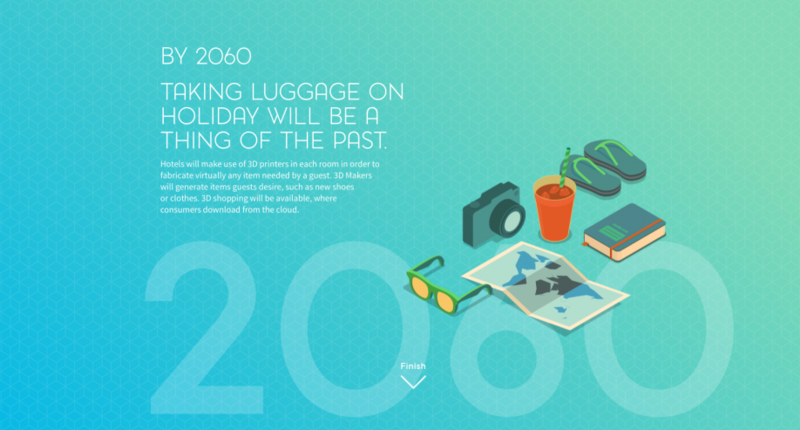 The nightmare of forgetting your toothbrush or flip-flops whilst on holiday will be a thing of the past by 2060. In fact, you’ll be able to save money on flight luggage by simply printing all the items you need when at the hotel as each room as they are predicted to home a printer each.